Euphoria Men by Calvin Klein is a woody aromatic fragrance for men. Euphoria Men was launched in 2006.
carnal and seductive expression masculinity, which aims to reveal the mystery of a man who knows what he wants and chooses his own pleasure. The noses behind this fragrance are Carlos Bena and Loc Dong. Middle notes: Black Basil, Sage, Cedar. Base notes: Amber, Patchouli, Brazilian Redwood, Suede. 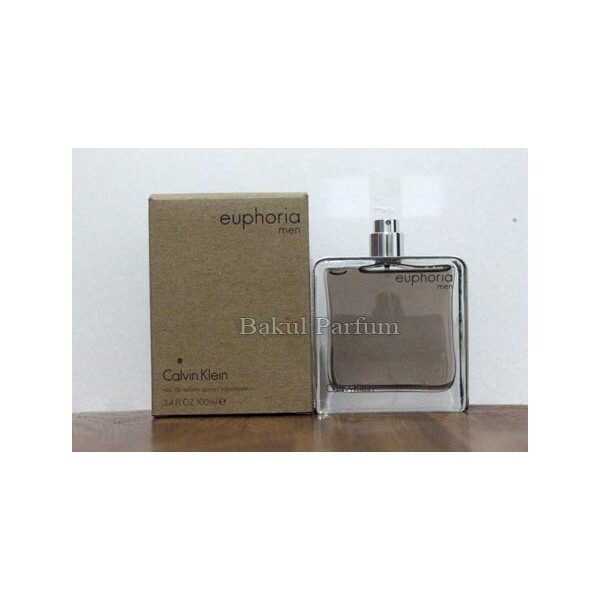 Beli tester parfum original Calvin Klein Euphoria for Men sekarang, harga termurah di Indonesia! !